New Tofurky Ham-Style Roast Review – vegan in your city. 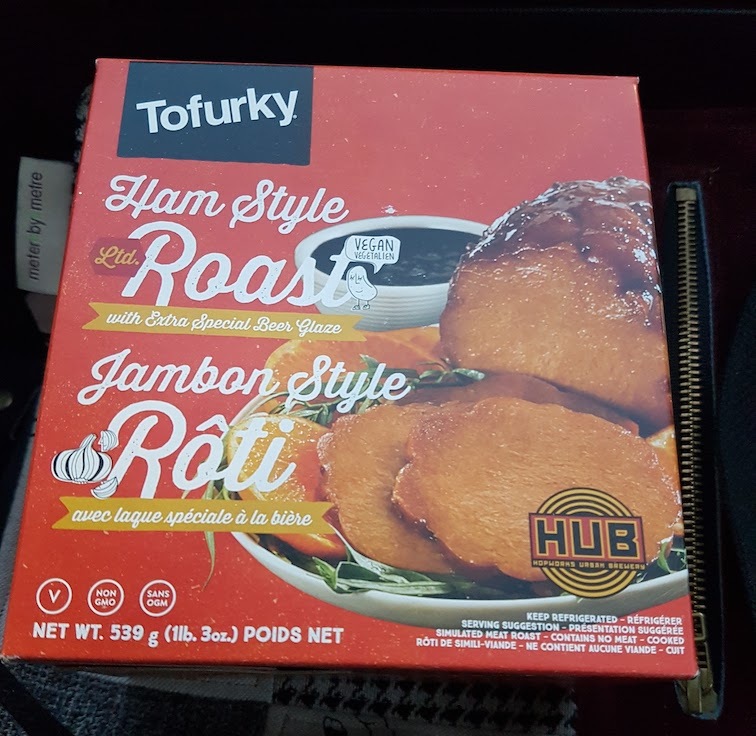 We bought the Tofurky Ham-Style Roast this weekend for the first time (from the refrigerated section at Metro in Toronto, but it’s available at Whole Foods and Sobey’s locations too) And since I couldn’t find much information about it online, I wanted to share what we thought. This is the first year it’s been available in Canada, so the moment I heard about it, I wanted to try it. It’s a small seitan based ham that looks visually appealing, and comes with a sweet and tangy beer glaze featuring Hopworks Urban Brewery beer from Oregon. It’s full of flavour and has a vaguely ham-like flavour. 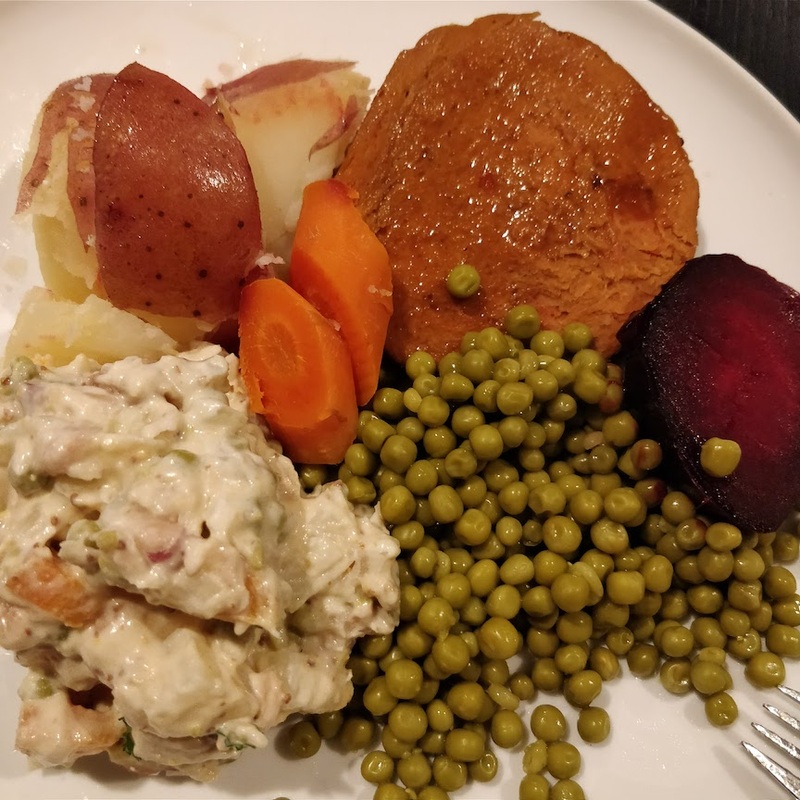 If you are familiar with Tofurky roasts, the texture is quite similar – and personally, I liked it, and it complemented our meal quite nicely. 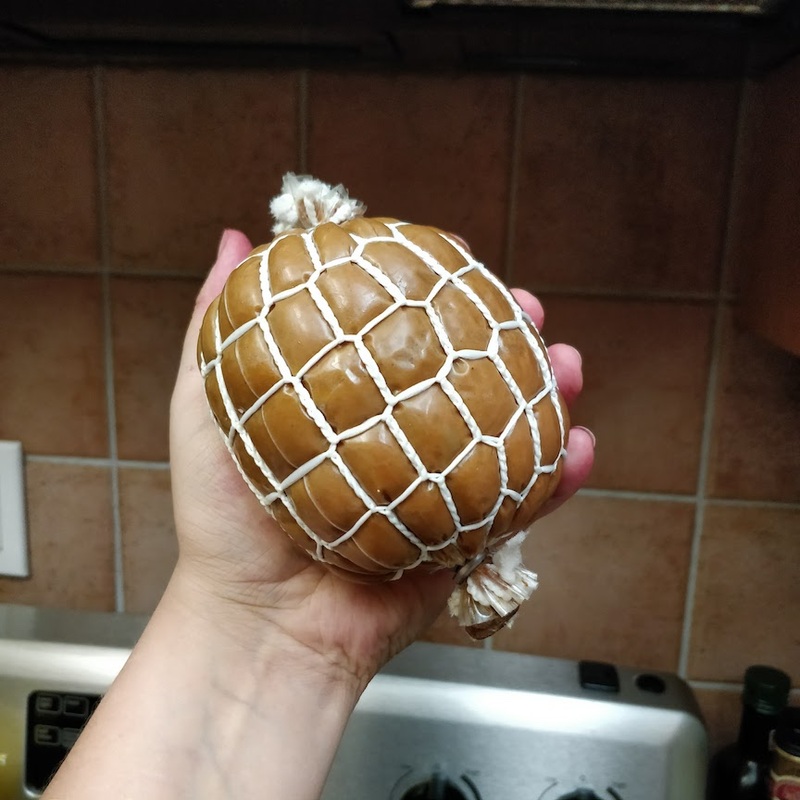 Here you can see it in it’s packaged glory – and my hand for scale. My hands aren’t particularly big, so it’s not huge, but could serve 3-4 people with a nice variety of sides and/or some stuffing. I did not follow the preparation instructions on the box – we were making a very late dinner, and I didn’t feel like baking it for over an hour, so your experience may vary. But if you wanted to save some time and make it in the Instant Pot like I did, I mostly followed the box instructions on prep – half a cup of water, and based my timing on JL’s Vegan Roast post here. She has some great ideas for making more things simultaneously too. I thought it was great that they had it in the refrigerated section this year, since normally you have to do more planning ahead to make a Tofurky holiday roast or ham roast – but both were ready to bake. Put half a cup of water in the instant pot, add roast, put on high pressure for 9 minutes, and let the pressure release naturally. Poured glaze on top of the roast and brought to pressure for 4 minutes. This will result in a tender juicy roast vs a more caramelized glaze, but I really liked the result. The remaining glaze and water mixture at the bottom of the instant pot made for a fantastic quick gravy too. Hope you find this helpful, and let me know what you think of this product if you try it! I’d love to get my hands on that one day! I’ve only seen their other roasts a couple of times in the run-up to Christmas, hopefully they’ll become more popular in the UK/Europe.